In 1950, Humanic starts manufacturing ski boots. Fifteen years later, the first ski boots with buckles are launched. Our mission is to equip dedicated mountaineers with innovative, high-quality products for unforgettable experiences outdoors. We are also aware however that we have a huge responsibility not only in terms of our product, but also with respect to nature and the sustainable development of mountain sports and, in the end, also with respect to humankind. As an owner-operated family business, the social components are of paramount importance to us as are people. On the one hand, our attention is focused on the people who manufacture our products. Various measures have been implemented in recent years to protect these people and to improve their working conditions and standards. On the other hand, we feel beholden to our customers to offer high-quality as well as completely environmentally friendly products and equipment. Along the way, cooperation with experienced partners such as bluesign® technologies or the Fair Wear Foundation are vital. We are always conscious of the fact we are only at the start of a long journey, and countless steps are still necessary to completely fulfill our obligation to humankind and nature. DYNAFIT sets the standard in competitive ski mountaineering with the new D.y.N.A. racing boot in 2009, winning an ISPO award. In the same year, the DYNAFIT Team is forced to turn back just 20 meters from the summit of the 8,047-meter Broad Peak. Our dear friend, Christina Castagna, of the Italian SALEWA Team loses her life after a fall. The new decade begins, and DYNAFIT extends its product range with two outstanding pieces: In 2010, the TLT 5 ski boot range sets a new benchmark in ski mountaineering, while the new Low Tech Race binding is the lightest on the market, weighing just 111 gm (3.9 ounces). In 2014, DYNAFIT raises the bar once more with its partnership with sports product developer Pierre Gignoux. Their joint project consists of two masterpieces that once again are the lightest in the world: The RC 1 binding (75 gm) and the RC 1 ski running boot (500 gm), both of which break all barriers in performance on the ascent. The Fair Wear Foundation is an independent non-profit organization with the mission to improve working conditions globally in the textile and apparel industries. Already a part of the initiative are more than 80 companies representing 120 different brands. Members pledge to uphold the “FWF Code of Labour Practices,” which is based on the UN and ILO. Advancements in implementation of the code are documented and publicized annually. In addition, working conditions are audited by independent expert teams on-site at the manufacturing facilities where improvements are undertaken as needed. In 2017, approximately 95% of all of DYNAFIT’s textile products came from low-risk countries (in Europe, with the exceptions of Bulgaria and Romania) or are from facilities that have already been audited by Fair Wear. As a member of the Oberalp Group, DYNAFIT’s Social Compliance results from FWF are included in an overall group evaluation here. DYNAFIT constantly works on improvements in its supply chain. As a logical outcome, DYNAFIT has continuously grown its status with the FWF since its first involvement. In the most recent “Brand Performance Check 2016,” DYNAFIT achieved an outstanding result of 80 points and was thus awarded Leader status. To attain “Leader” status, a minimum of 90 percent of production volume must be subject to FWF monitoring. The brand was able to fulfill these criteria for the first time ever in 2016. In 2017, over 78% of garments were produced in facilities audited according to the prerequisites set by FWF. With this, DYNAFIT counts among the top 30 percent highly engaged members of FWF. These members work strongly in support of fair working conditions in textile and apparel production. Find out more the about Fair Wear Foundation here. 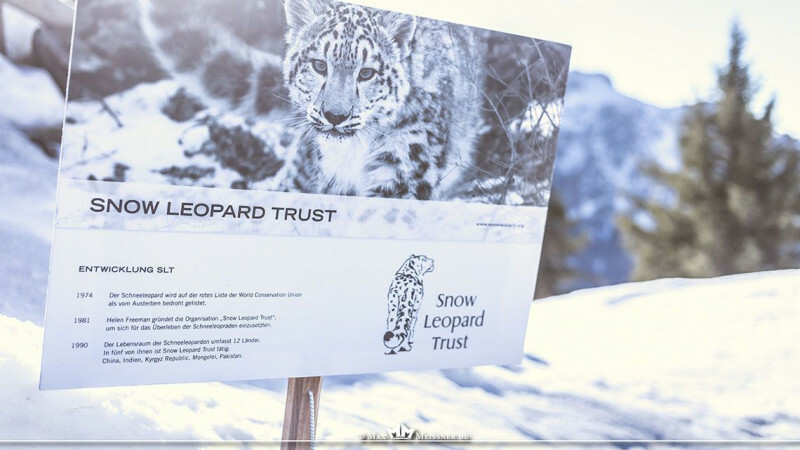 • 2010: First Snow Leopard Day in Austria: 184,500 vertical meters achieved resulting in a donation of € 1,845. We want to continue to support the Snow Leopard Trust in the future with various projects and donations in order to work together to prevent the extinction of this extraordinary animal. To DYNAFIT, the snow leopard is not only a brand symbol. Its characteristics and faculties are consistent with the values and characteristics of the company. Snow leopards possess an outstanding performance-to-weight relationship, are extraordinarily fast, and have phenomenal endurance. Its paws do not sink in or slip, be it on snow meters deep, steep flanks, or high mountain peaks. 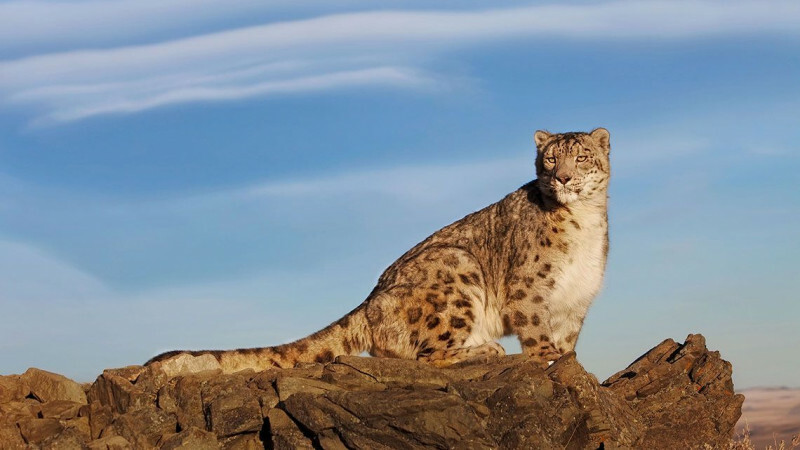 To Dynafit, the snow leopard is the role model and symbol for all characteristics and faculties that ensure living and surviving on the mountain. All that makes it into a true exemplary standard for every mountain endurance athlete. Unfortunately, the snow leopard is now in danger of extinction. Thus, DYNAFIT has set the goal of helping the snow leopard. So that this occurs professionally and sustainability, we support the non-profit organization, Snow Leopard Trust, founded in 1981 with headquarters in Seattle, Wash., USA. With donations, events and international media and public relations work, we do our part in protecting the snow leopard.Our most successful project in this regard is most certainly the “International Snow Leopard Day.” Since 2010, a ski touring test event takes place on the same day in the winter in various countries. Together, participants accumulate vertical meters for protection of the snow leopard. Each vertical meter achieved and tallied is transformed by DYNAFIT into one cent of donation. In April 2007, the North American Office opens in Boulder, Colo., USA, and the new ZZero boot line successfully launches. Despite a worldwide economic crisis, DYNAFIT achieves a 75% increase in sales the following year and opens a new subsidiary in Poland. 2014 is a year to celebrate: The Low Tech frameless binding system developed by Austrian inventor Fritz Barthel turns 30. There is no better gift than a steady demand for the product for 30 years, proving DYNAFIT ‘s remarkable competence in the binding segment. When it comes to bindings and ski touring boots, 100 percent of production occurs in Europe. 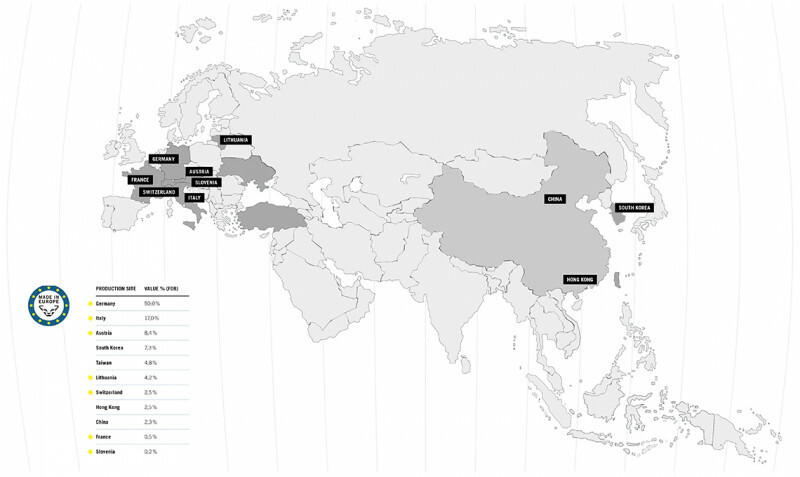 Textiles are still in large part imported from Asia. However, we pay special attention here to compliance with international work standards. This occurs in cooperation with the Fair Wear Foundation, which as an independent entity monitors us while it is also available to assist in the improvement of processes. Globally renown, Caritas runs global operations for emergency relief and social projects to offer aid to people in 160 countries. In Germany alone, more than 24,000 facilities and services are provided by Caritas. DYNAFIT is proud to have a partnership with Caritas since 1999. DYNAFIT works together with Caritas on a unique project in its facilities in Donauhof, Pocking and Dreiflüsse in Germany. There, approximately 100 workers, both men and women, are involved in the production of ski tour bindings. In 2011, 80,000 bindings alone were produced in this manner. Already in 2014, it numbers more than 135,000. 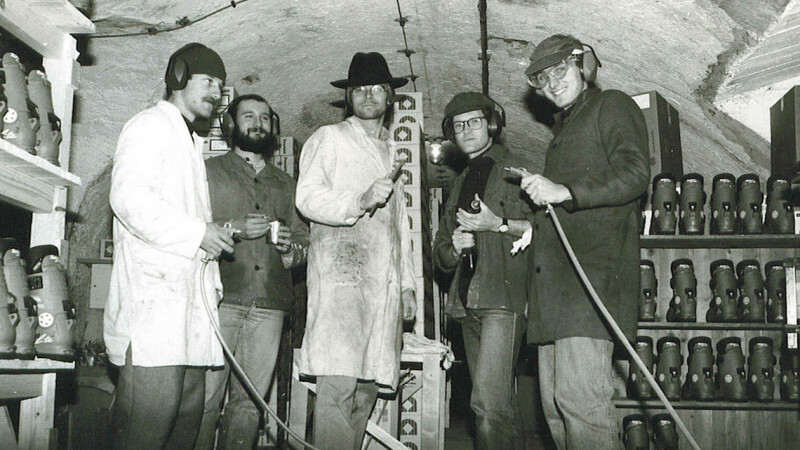 As a thank you for the high-quality and reliable work, those working at the Pocking facility were invited to come out and test the bindings they make. It was an unforgettably amazing day for everyone. The European Outdoor Conservation Association (EOCA) is an association made up of 126 European companies in the outdoor industry (as of 2017). EOCA follows the following principle: “We strive to support worthwhile nature conservation projects by procuring funds through the European Outdoor branch to promote the care and respect for wild places.” This association of manufacturers, suppliers, retailers and service providers in the sports industry organizes, finances and operates mutual nature conservation projects. Since its founding in 2006, 81 EOCA-backed projects have earned a total of 2 million Euros (as of 2017). DYNAFIT has been a member of EOCA since early 2013. Immediately after becoming members, DYNAFIT was able to successfully nominate a project close to its own heart. The goal of the initiative “High-Altitude Habitats for Snow Leopards” is to help support residents of the Spiti Valley in India to protect the snow leopard. One of the largest populations of snow leopards in the world lives in this remote Himalayan valley in the Himachel Pradesh province. Sometimes this beast of prey snatches livestock of the resident farmers, to the sorrow of the natives. Thus, protection and quiet zones totaling 25 square kilometers were established as a regeneration area and safe haven for snow leopards. The EOCA backed this project financially with 11,000 Euros. With the CARBONIO Line in 2016, DYNAFIT redefined the standard of the ski touring market. Complete solutions are demanded by the market - solutions which outfit the consumer from head to toe. With CARBONIO, DYNAFIT stepped into the race with the lightest, most innovative and most technically perfected ski touring collection in the industry. With the skillfully targeted use of carbon fiber, all possibilities are now open to ambitious backcountry skiers, from quick ascents to demanding downhills. The design also stands out from the crowd. The CARBONIO collection again demonstrates that DYNAFIT maintains the pioneering role in the ski touring market. 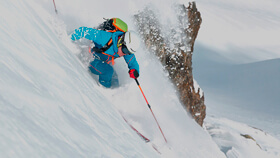 Since the 2011 summer season, DYNAFIT, along with Salewa, has been a bluesign® system Partner. The starting point for the bluesign® system is the start of the manufacturing process, and it offers a sustainable solution in textile production. Standards in production and work processes in textile finishing ensure environmentally sound and safe production. Along the way, however, our organization does not rely exclusively on international environmental standards. Rather, it conducts its own comprehensive risk analyses.bluesign® follows primarily five principals along the entire textile supply chain: resource productivity, air emission protections, occupational health and safety, water emission protections and consumer safety. Thus, bluesign® is a seal of approval for the protection of people and the environment. In 2017, 89% of DYNAFIT’s apparel products were made using either bluesign® or OEKO-TEX® certified materials. Globally, 60% of textile products worldwide are at present based on synthetic fibers. We too use synthetic fabrics from partners such as Gore®, Polartec® or PrimaLoft®. These highly technical fabrics offer clear advantages for mountain sports athletes during intense physical activity: good body temperature regulation, moisture transport, and the ability to dry quickly. Nevertheless, synthetic fibers also have disadvantages since they consist of materials that are difficult to recycle. During mechanical stress, for example during laundry or wear, microfibers are released that are increasingly polluting the environment. This so-called “microplastic” ends up in wastewater in the sewer system and then downstream in the planet’s waters. There, they contribute to overall contamination. What is Dynafit doing to prevent contamination by microfibers? Dynafit is aware of this increasingly threatening global problem. Thus, we are not just observing, but are in fact proactively tackling this challenge. Together with other mountain sports brands we are a proud member of the Industry Microfiber Consortium by the European Outdoor Group (EOG). This industry group was founded in order to better understand the problem and together to investigate and to find concrete solutions. Specifically, we are participating in two research projects since to date contamination from microfibers has not been sufficiently investigated. Led by the EOG’s Industry Microfiber Consortium, the primary goals are to evaluate how the fibers are released, how severe the level of contamination by microfibers in fact is, and which materials could be the primary perpetrators. Based on this, solutions should be able to be subsequently developed for the entire industry. For anyone who would like to be actively involved, we heartily recommend the Guppyfriend Washing Bag. This first practical solution prevents microfibers released in the laundry from reaching our earth’s waters.